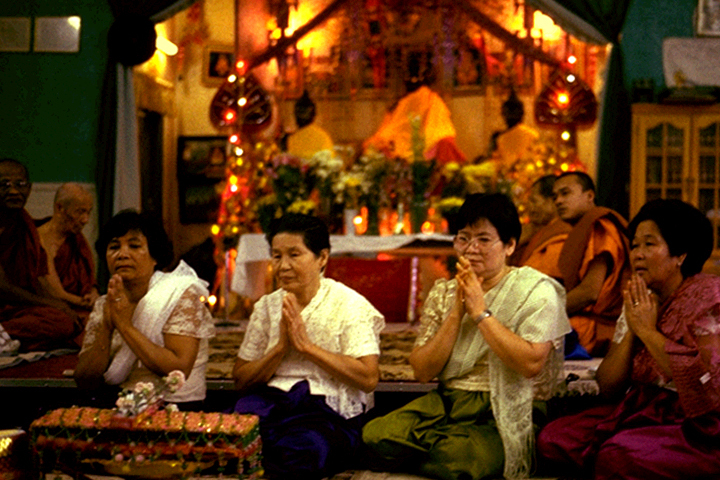 The “Three Treasures” of the Buddhist tradition are the Buddha, the Dharma, and the Sangha. Throughout the Buddhist world, Buddhists have these Three Treasures in common. 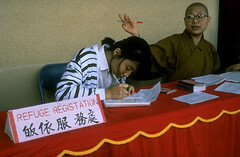 To be a Buddhist means “taking refuge” in the Three Treasures, that is, to put one’s trust in them. Buddhists see as central to their lives the Buddha as well as enlightenment in general, the teachings of those who are enlightened, and the community that follows these teachings. 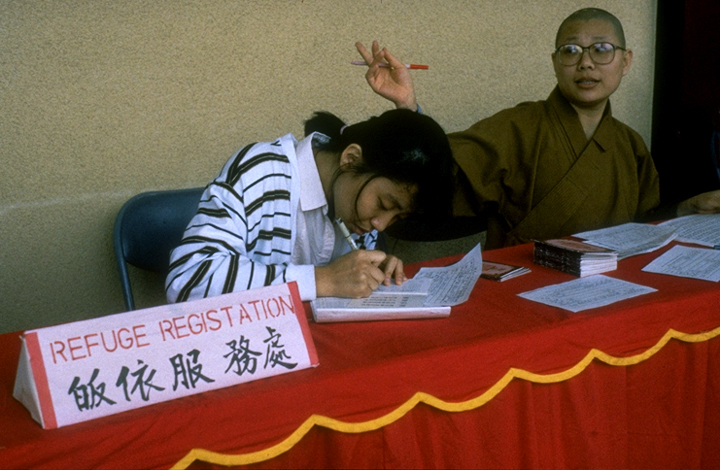 The Buddha, the Dharma, and the Sangha continue to provide inspiration to Buddhists, but they are not understood in exactly the same way everywhere. A Sri Lankan Theravada Buddhist might insist that the Buddha was a human pathfinder, nothing more. A Chinese Pure Land Buddhist might chant the name of Amitabha Buddha, seen as the eternal Buddha of Endless Light, with a prayer to be reborn in the Pure Land after death. A Japanese Zen master might shock one with the words, “If you meet the Buddha on the road, kill him!” in recognition that grasping for the security of the Buddha creates as much suffering as any other desire.